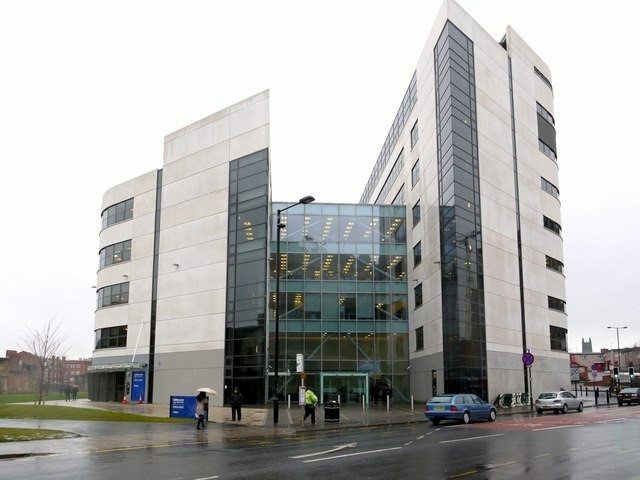 Tandem Contracts Ltd were appointed as Principal Contractor to investigate the cause and resolve the long term roof leaks to the 5th floor and balcony roof areas along with carrying out a package of PPM works to the office block. Citygate 1 comprises a 7 storey West core and 5 storey East core of steel frame construction, primarily consisting of office accommodation occupied by various organisations. The 4th floor which was most affected is currently occupied by the Care Quality Commission. Redecoration throughout the West core lift lobbies along with external redecoration to areas of vandalised render. Out of hours working was necessary for internal redecoration work due to high levels of foot traffic in the lift lobbies during normal working hours. Debris and waste material was removed from all perimeter surface water drainage and the channels flushed before covers were replaced. Ballast material on the 5th floor flat roof and 2nd floor balcony areas was relocated in order to clean down the single ply membrane ready for visual inspection. Leaks present within offices on the 4th floor were roughly in line of the internal box gutter above; water marks were identified to the underside of RW inlets. This observation allowed us to focus initial repairs on the gutter believing that issue may have been caused by defective/failed jointing detail(s) in and around the gutter inlets. Visual inspection of the covering confirmed it was in poor condition. A number of loose fixings thought to be from the installation of plant equipment, in addition to this the roof was covered with an unsuitable mixed-grade ballast material. A liquid plastic coating was applied to the full gutter section. In order to accommodate the gutter lining works it was necessary to relocate 2no air conditioning units which were serving the buildings IT infrastructure. Raised paving flags were also removed in this location in order clean down and inspect the surface. Flashing details surrounding stainless steel balusters fixed to the parapet had been poorly fitted previously with visible gaps around fixings; some of the flashings had also started to de-bond from the single ply covering allowing water to penetrate underneath the membrane and into the building envelope. The affected areas were covered using a liquid plastic system and there have been no reports of leaks since the project was completed. The project was handed over in January 2017. We have recently been instructed to carry out a 2nd phase of gutter re-lining works on the East core roof.